Bitcoin is a suitable diversification tool due to lack of correlation with many other asset classes according to a new study by Stockholm University. 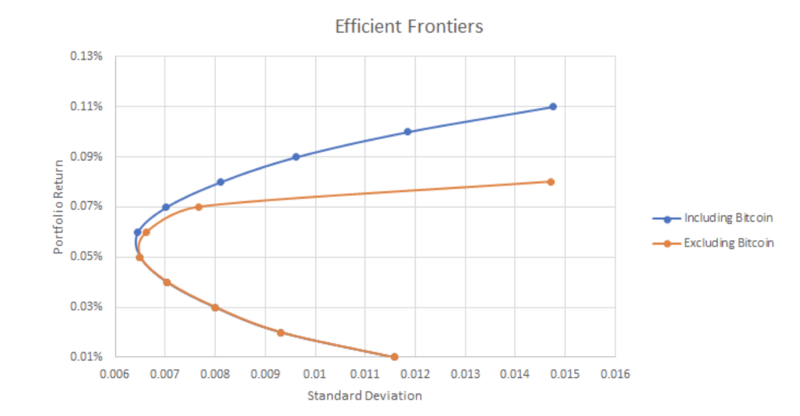 After undertaking regression analysis and other tests the study finds that bitcoin is not suitable as a hedge against the specified classes, but its lack of correlation makes it very useful for diversification in line with Portfolio Theory. Bitcoin’s correlation with other asset classes. As can be seen above, bitcoin has the lowest level of correlation with any of the other stock markets, oil or gold and it effectively amounts to zero. 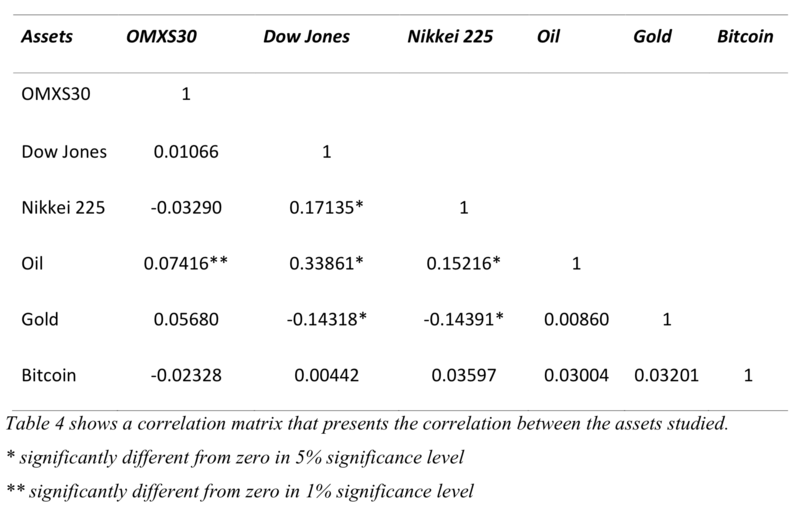 The highest found positive correlation is between oil and Dow Jones, while gold’s negative correlation with stocks makes it a suitable hedging tool. Bitcoin’s lack of such correlation makes it unsuitable for hedging according to the study authors because it does not respond to the price movements of other assets either positively or negatively. The study period was between November 2013 to February 2017. Thus includes the stupendous bull run in 2013, the crash that then followed, the lengthy bear market, and the beginning of the bull market in 2016, but not the stupendous gains that it saw in the later part of 2017. Results therefore may have changed as correlations do not necessarily stay static, but from observations even though bitcoin does for some short periods seem to correlate with stocks or gold, it is usually only temporary. In longer period, the study now seems to confirm, there is no correlation with the specified assets. But whether these findings extend to fiat pairs remains unclear. Specifically, interest in bitcoin and cryptocurrencies more widely tends to increase in currencies that experience devaluation from observation, but a new study comparing cryptos to major currencies finds only weak correlation. Where stocks and other assets are concerned, however, there have now been a number of studies to show that cryptos are useful for diversification, while for hedging results have been mixed.